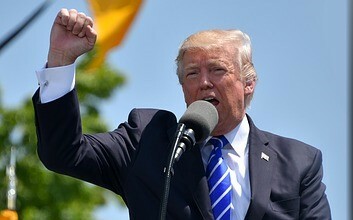 U.S. president Donald Trump yesterday signed a memorandum that aims to stop the trafficking of counterfeit and pirated goods. The memorandum, outlines policies aimed at tackling counterfeits online and the administration’s goal to “protect American businesses, intellectual property rights holders [and] consumers…from the dangers and negative effects of counterfeit and pirated goods”. The memorandum called for current efforts used by the Federal Government against online counterfeiting and piracy to be expanded and enhanced. It also orders comprehensive data regarding the extent of counterfeit trafficking through online third-party marketplaces. Now, within 210 days of the signing ofthe memonrandum, a report on counterfeit and pirated goods trafficking will be published by various government officials and submitted to the president. The report will give information on the extent of counterfeits on online third-party marketplaces and identify factors which contribute to the trafficking of such goods.